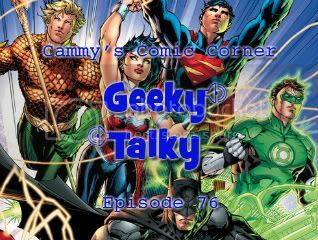 In this special episode, I discuss all 52 comics being released in the upcoming DC Reboot/Relaunch come this September. I talk about which ones I’m looking forward to, and which ones I’m not. Every other podcast is talking about it, why not me too? This entry was posted in Cammy's Comic Corner and tagged 52, DC, Geoff Johns, Jim Lee, reboot, Relaunch by Cameron. Bookmark the permalink.